What does it mean to be open, as opposed to closed? As with any word, several meanings can be attached to it. Perhaps it is best to first discuss the more general meaning of the term and then explore the more specific meanings as we develop an analysis of open education. The word open, broadly speaking, means to be flexible, free, and welcoming, and relative to closed, it means non-prejudiced, non-restricted, and unfettered. Of course, there are different degrees and types of openness as well as different goals and outcomes that are sought in open education. Common themes that tend to cut across all these aspects of open education are the ability to cultivate personal agency, self-determination, and self-regulated lifelong (every life stage) and life-wide (across all life activities) learning. In so doing, democracy is strengthened and human rights are supported — this is the focus of open education in this volume. The condition of being open has many qualities and characteristics but these characteristics, relative to one’s ability to access, participate in, and leverage the full benefits of open education, have the following dimensions: spatial, temporal, and process. Therefore, these core dimensions serve as a good starting point to explain the nature of open education. Regarding the spatial dimension, open education (e.g., open educational resources, open courseware, massive online open courses) allows people to access and participate in education regardless of their physical/geographic location, provided of course that they have the means (e.g., computer, smart phone, internet access) to connect to the resources. Thus, improvements in open education technologies allow more people to overcome physical and geographical barriers and constraints. As mobile and other information technologies become more affordable, the opportunity to access these resources increases. Regarding the temporal dimension, open education allows people to access and participate in education regardless of the time of day, month, or year, and independent of others’ time considerations. In other words, open education need not be a synchronous form of communication as in the traditional higher education model, but rather communication and participation become in this context an asynchronous form of learning and communication. As with the spatial dimension, improvements in course design and information and communication technologies allow more people to overcome time barriers and constraints. Subject-matter experts (i.e., professors, scholars, teachers, educators) create the content. Students are free to select those courses and other educational resources that they believe will be most beneficial to them (i.e., it is a voluntary system to satisfy the learning needs of the students). Within the structural constraints of the educational platform and the usage policies and rules, students are free to determine if, when, and how they will access and participate in open education and they are free to self-determine what learning needs (outcomes) they want to meet. Organizations (i.e., universities, non-governmental organizations) create the structure and rules by which the content is packaged and structured as well as the basic rules governing how content is produced and consumed, including feedback systems that are used to continuously make improvements and meet the needs of both the experts and students. Open education is designed for access because it removes the traditional barriers that people often face in obtaining knowledge, credits, and degrees — including but not limited to cost. Access is fundamental to open education and is the basic principle that has informed and driven the open education movement from its inception. Open education goes beyond access: it is designed for the agency of students and teachers and affords them increased control of content and technology. As Kahle (2008, p. 35) explains: Openness “is measured by the degree to which it empowers users to take action, making technology [and content] their own, rather than imposing its own foreign and inflexible requirements and constraints”. Open education pre-supposes the participation of the learner and the educator, and it seeks to amplify their agency. Open education is also designed for ownership when technology and content are licensed in such a way that users can both modify and retain the resource in perpetuity. David Wiley originally defined open content using a “4 R” framework, which includes the rights to reuse, revise, redistribute, and remix creative works. But in response to academic publishers pushing access codes and short-term leases on educational content, Wiley made explicit something he had long seen as an underlying implicit principle of open content: the right to retain, which includes the rights to make, own, and control copies of the content (Wiley, 2014). Open education is designed for participation when it is well-designed for access, agency, and ownership. In other words, these aspects lead to participation by learners and educators. As open education promotes these fundamental principles, students and teachers are more likely to collaborate and participatory in inclusive activities. Indeed, one of the goals of open education is to move learners closer to the center of a community of practice, specifically through providing opportunities and infrastructure for participation and collaboration. Finally, open education is designed for experience, or at least it can be, when educators and systems focus on making content and technology appealing and user-friendly. Kahle (2008, p. 42) argues that “design for experience recognizes that all participants, particularly busy educators and students, quickly form opinions as to what resources are interesting, helpful, and worth their investment of time. Design for experience is a form of human-centered design”. Insofar as creators of content and technologies recognize this important principle, open education can appeal to a broader audience than students and educators, thus amplifying access, agency, ownership and participation to anyone with a desire to learn. The open education movement can also be viewed as part of a wider drive to democratize tertiary education, which, in turn, can be viewed as part of the movement to establish tertiary education and lifelong learning as a human right. Since this chapter starts with the normative premise that open education should be used as a means to promote and facilitate lifelong learning, the next section will discuss the history of open education and then segue into the rationale for tertiary education and lifelong learning as a human right, which will lay the groundwork for a human rights theory of lifelong learning. The human rights view of lifelong learning focuses not on the socio-economic and personal benefits that education produces (albeit very important) but rather on the claim that universal education makes on others. A human right is a very broad construct from which other issues and rights flow (e.g., civil rights, social inclusion, humane treatment of people). A human right is defined as a justified claim on others (McGowan, 2013). In addition, one of the goals of the UN Millennium Development Goals initiative is to move towards a more inclusive and quality education system that recognizes tertiary education alongside primary and secondary education.1 Human rights are justified because they protect humanity from the abuse of others and they defend those aspects of society (e.g., life, liberty, and security) that are considered fundamental to human life, and as such, they are the most urgent claim on others. In the final analysis, by viewing learning and education through the lens of human rights, universal education throughout the course of life becomes an important condition for justice in a democratic society. Given the huge importance of lifelong learning to the overall well-being of society and the economy, access to and participation in meaningful lifelong educational opportunities is one of the chief human rights issues of our generation. As such, the emerging global higher education system hints at the prospect of a more inclusive global knowledge society. (2015b). In 2007, UNESCO and UNICEF further delineated the right to education into three areas: the right of access to education, the right to quality education, and the right to respect within the learning environment. Defined this way, these rights therefore have implications for governments, educational institutions, and non-governmental organizations with regard to their responsibility towards how they provision educational resources and how they lead learning environments. 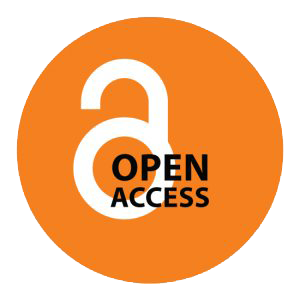 Concerning access, open education puts the responsibility and duty of care primarily on the service provider and others to ensure a ubiquitous, affordable way for people to access a wide range of educational resources. Concerning quality, it puts the responsibility primarily on the service provider (i.e., the educational institution) and the content creators (i.e., the faculty or other subject matter expert) to define the framework and process of who, what, when, where, why, and how the content will be created and the criteria by which to evaluate and assess the quality of the content and the effectiveness of teaching and learning. Concerning respect, it puts the responsibility primarily on the service provider to define the policies and rules to cultivate an environment of mutual respect and on the teachers and students, as the two primary agents in the teaching-learning process, to treat others with respect and dignity. Thus, open education will be most effective if it addresses all these components. At its core, the open education movement has been about access. In the late 1960s, efforts began to remove barriers to entry for students desiring to pursue tertiary education. For example, the Open University of the United Kingdom (OU-UK, http://www.open.ac.uk) was established in 1969 with the mission to help facilitate educational opportunities and greater social justice by providing high-quality university education to anyone who has a desire to learn and realize their potential. Since the founding of the OU-UK, many other open universities have been established in countries throughout the world, ranging from Bangladesh to Canada to South Africa. In the late 1990s, as the internet was becoming more ubiquitous, many prestigious institutions of higher education in the United States began looking for ways to further disseminate the educational content promulgated within their classrooms. At the same time, forward thinking education technologists were recognizing the power of the internet to democratize education at all levels and exponentially increase access to educational content for people across the globe. In 1998, David Wiley coined the term “open content”, which he described as a creative work that others are allowed to copy, share, and modify. Wiley created a basic open license that creators could place on their works to signify these permissions. As the idea of open content for education began to spread, Charles Vest, then President of the Massachusetts Institute of Technology (MIT), sought funding from private foundations to video-tape and post content from MIT courses on the internet. This radical idea became the MIT project (http://ocw.mit.edu/index.htm), which continues to publicly and freely share the content from over two thousand MIT courses. Other universities followed MIT’s example, dramatically expanding the open courseware movement over the next several years. Recognizing the power and potential of open content to increase access to education, private philanthropic foundations, particularly the William and Flora Hewlett Foundation in California, began supporting the development and spread of open courseware and other types of open educational content. In 2002, at a UNESCO meeting of developing nations, known as the Forum on the Impact of Open Courseware for Higher Education in Developing Countries, the term “Open Educational Resources” (OER) was officially adopted to describe open content used for educational purposes. The forum agreed on the following definition of OER: the open provision of educational resources, enabled by information and communication technologies, for consultation, use and adaptation by a community of users for non-commercial purposes (UNESCO, 2002, p. 24). In the same year, Lawrence Lessig, Hal Abelson, and Eric Eldred received funding to establish a new non-profit called Creative Commons, which produced flexible copyright licenses that people could use to openly license their creative works. These licenses have become the gold standard for establishing the legal aspect of OER. The Hewlett Foundation defines OER as “teaching, learning, and research resources that reside in the public domain or have been released under an intellectual property license that permits their free use and re-purposing by others”, and requires that all works created with project grant funding be licensed with a Creative Commons Attribution license.2 Many other foundations and government agencies throughout the world have adopted similar open policies, leading to a significant increase in the supply of OER. For the first five or so years after the UNESCO meeting in Paris, most of the OER available for professors to adopt existed in piecemeal form and was mostly suitable as a supplement to primary course content. Starting in 2009, advocates and supporters of OER began to recognize that for OER to enter mainstream adoption, open content would need to be produced in a format that professors would be better able to adopt as primary course material: the textbook. With support from foundations and governments, work began to produce and disseminate what have become known as “open textbooks”. For example, over the past four years, OpenStax College at Rice University (https://openstax.org) has produced twenty open textbooks for the highest enrolled college courses in the United States; and the state of California and the province of British Columbia have each compiled a library of open textbooks for the highest enrolled courses in their respective systems. These open textbooks have been adopted by thousands of professors, positively impacting hundreds of thousands of students. In addition, the Open Textbook Network and the Open Textbook Library at the University of Minnesota (https://open.umn.edu) provide access to a growing list of open textbooks. Most recently, an effort has begun to bring adoption of OER in higher education to scale. In 2013, Tidewater Community College established the first degree program entirely based on OER. In June 2016, the college reform network, Achieving the Dream (http://achievingthedream.org), provided pass-through funding to nearly 40 community colleges in the United States to establish OER degrees within the next 2 years. These degree programs will impact many students and do much to bring OER into mainstream adoption in higher education. On the international front, the OERu partnership (https://oeru.org) is working with over thirty partner institutions around the world to establish a fully articulated, credit-bearing first year of study based exclusively on OER that students around the world can enroll in for free. Open education is more than just open content, of course, but the OER movement is a remarkable example of the power of openness to increase educational access for all. The real potential of open education is to actually improve learning for all. In the next several years, Open Educational Practice is expected to increase. It will include teaching techniques that draw on open educational resources, open technologies, and open systems to increase the flexibility and authenticity of learner experiences (Conole and Ehlers, 2010), ultimately resulting in better learning for students and better teaching for educators globally. Open education is not a substitute for traditional higher education provisioning, nor is it intended to be. The desire-to-learn model of open education supplements the ability-to-pay model of higher education. For many people who use open education services, they provide a supplementary type of education that adds to the mix of educational offerings available. Thus, open education need not represent an “either/or” proposition and it need not compete with (nor necessarily intends to) traditional higher education but rather it provides an additional means by which people can access knowledge and engage in lifelong learning. In fact, some of the largest providers of open educational resources are the traditional brick-and-mortar higher education institutions because they understand that open education is not a pure substitute for traditional place-based higher education and because it makes it easier for them to prepare materials for MOOCs, for example (based on existing courses), and because it is easier for them to utilize existing instructional staff and institutional expertise. The goals of students using open education and the goals of those who undertake traditional higher education are often very different. Most students in traditional place-based higher education want to obtain a degree whereas most in open education want to pursue learning but not necessarily obtain a degree. In addition, many people do not have the time to devote themselves exclusively, or even part-time, to place-based education. Fixed time and place requirements are major obstacles to enrolment for many students. To ameliorate this obstacle, in some countries university fees are kept very low and virtually non-existent for low-income students and for students who live at home the total cost of attendance is extremely low. A key distinction between traditional and open education is that traditional higher education institutions provide services (e.g., accredited degrees, extensive instructional and support staff, research output) that some open education services may not, nor necessarily intend to. Thus, both systems have emerged to address different types of learners who have different goals and needs. Most nations have gradually shifted away from an elitist system of higher education and towards a universal access model of higher education. In the universal access model a multiplicity of institutional types (e.g., technical colleges, community colleges, liberal arts colleges, research universities) and a multiplicity of access types (e.g., online universities, open universities, open courseware, open educational resources), as well as hybrid institutions together with further and continuing education programs are combined in unique ways to serve the varied needs of society. This shift has created a more diversified system of institutional types, access methods, and program and course offerings for every stage of life or career and is reflective of the continuing democratization of knowledge and the growing demand for higher education worldwide (Blessinger and Anchan, 2015; Blessinger, 2015a, b; OECD, 2012; Trow, 1974; Yu and Delaney, 2014). The main distinguishing features of open education is that it consists of free, unfettered, anytime, anywhere access to educational resources that are meaningful and useful to those who wish to utilize those resources. Effective open education platforms and processes center on meeting the needs and aspirations of people throughout every life stage (lifelong learning) and across all life activities (life-wide learning). Since every person is part of the broader social structures in which they live, the most effective open education platforms are those that create opportunities for shared meaning-making, collaborative activities, and creative participation. Thus, open education should not only be a personal meaning-making experience but also a social one. As such, the open education model moves away from the knowledge scarcity model and toward a knowledge abundance model (McGrath, 2008; Batson, Paharia, and Kumar, 2008). As such, additional models are needed to work alongside (not replace) traditional educational structures. With the knowledge abundance model, knowledge is made available to anyone who wishes to consume it, regardless of their ability to pay or their ability to participate in place-based education. The emerging abundance model is reflective of the broader democratization of knowledge that is unfolding around the world. The abundance model represents an emerging paradigm shift from knowledge that is owned and controlled by knowledge elites to knowledge that is accessible to anyone. As mentioned earlier, the emergence of massive open online courses, open universities, and open educational resources represent concrete exemplars of this paradigm shift. As noted by Blessinger (2016a), this is not an entirely new phenomenon because there have been revolutionary moments in human history (e.g., invention of the printing press in the 15th century, the spread of public libraries in the nineteenth century, the development of the internet in the twentieth century) that have served as catalysts to de-monopolize higher learning and to open access to knowledge to wider segments of society. Blessinger (2016a) puts it this way: “The wide-ranging utility of the printing press laid the foundation for future political, social, economic and scientific revolutions such as the Renaissance and the Reformation, which paved the way for mass learning and the modern hyper-connected global knowledge society”. This trend continues to this day. Thus, one can see how these events are connected, although, at the time they emerged, their future impact was often unforeseen and often shunned and even fiercely opposed by those who wanted to maintain the status quo. Thus, as discussed by Blessinger and Anchan (2015), the underlying forces driving the development of open education are the basic human needs to learn and grow throughout every stage of life. The change model also supports a democratic theory of higher education postulating that the goal of university-level education is to cultivate personal agency through the development of knowledge, skills, and capacity; opportunities to learn throughout life should therefore be provided to all. These political, social, economic, scientific, and technological revolutions and factors are connected and they impact each other in concrete ways. The role and purpose of tertiary education continues to expand. The importance of lifelong and life-wide learning continues to grow and it is now regarded as necessary to social and personal development and therefore as a human right. As such, the role of tertiary education has expanded to include the production of social and cultural capital, not just human and economic capital. Lynch (2008) argues that we should not automatically equate access to information (e.g., internet based information) to access to education (i.e., education is a system of formal learning). This is especially true if we take a broader definition of education to include sociocultural processes which implies that education should also be about social and emotional learning, not just cognitive learning. Treating education as a social process emphasizes the point that learning is socially situated (Lave and Wenger, 1991) and that learning is also a personal meaning-making process (Kovbasyuk and Blessinger, 2013). Yet, notwithstanding the importance of these processes, effective educational systems also require the elimination of unnecessary and arbitrary barriers that may inhibit its access and participation. Whether one uses a narrow definition of education or a broad definition, open education can be adequately described as a form of universal education available to all through freely accessible and ubiquitous knowledge bases. Although open education need not, strictly speaking, be electronic in form, electronic technology does nonetheless provide a low cost and relatively easy means for people anywhere at any time to learn in a social and personalized way, thus making the ideal of “education for all” an emerging reality. Given higher education’s history of exclusion and elitism, the emergence of education for all and education as a right is imperative (Blessinger, 2016e; Burke, 2012; McCowan, 2013; UNESCO/UNICEF, 2007; Spring, 2000; Vandenberg, 1990). Learning is a social process and formal systems of learning are necessary for social reproduction and the continual development of society. As with all living creatures, all people are born depending on others for their survival and development. They depend on others (e.g., family, school, community) to learn the required knowledge and skills to live within society. Education is therefore social in nature and a type of learning community. Although the ultimate purpose of education is to produce learning, education also inherently serves political, economic, social, and humanistic purposes. With globalization, humans live in an increasingly interconnected and interdependent world. The more complex the world becomes and the faster that change happens, the greater the need for lifelong and life-wide education. Different models and systems of open education help meet this need (Altbach, Gumport and Berdahl, 2011; Barnett, 2012; Burke, 2012; Dewey, 1916; Kezar, 2014; Knapper and Cropley, 2000; Kovbasyuk and Blessinger, 2012). In the US, for example, higher education and lifelong learning have been marked by four broad movements (or waves) over the last 150 years. The first wave was the result of the Morrill Act of 1862 which created a system of land-grant universities through the US; the second wave was the creation of the community and technical college system that began at the beginning of the twentieth century and the G.I. Bill of 1944, both of which extended access to higher education to millions of US citizens; the third wave was the use of information and communication technologies (e.g., television, internet) and distance education opportunities which helped create the anytime, anywhere educational movement; and the fourth wave which has been brought about by the acceleration of globalization and the internationalization of higher education resulting in the growing recognition that lifelong learning and education is a human right which further expands the democratic social contract to education to all segments of society (Blessinger, 2015c, d, e). We suggest that the OE movement, and open methods as part of this, be considered a fifth wave in the history of education. One of the main reasons why higher education has become so diversified (in terms of institutional types and educational delivery models) and widely available to anyone who wishes to avail her/himself of it is because a university or college degree has become the gateway to professional careers and specific job opportunities, whether they be white, pink or blue collar. For instance, nearly all professions such as medicine, law, education, and engineering are only available to those with advanced university degrees. Many careers that once only required a high school diploma now require a college degree. In most countries certification and apprenticeships are now required in most vocational fields such as medical and legal assisting, welding, electronics, cosmetology, real estate, and culinary arts. Jobs have become more complex and more demanding throughout the labour market. Thus, it is no surprise that tertiary institutions of all types have grown in importance. Societies around the world are placing greater faith and reliance in educational systems to address a growing array of social and economic problems. Universal education is now widely viewed as one of the basic requirements for a modern society and it serves as a chief catalyst for socio-economic and personal development. Education at all levels (i.e., primary, secondary, tertiary) is now widely considered a human right because it yields so many positive benefits at a social, economic, and personal level (Hanushek and Woessmann, 2007), because it has become so vital to the development of social reproduction (Bourdieu and Passeron, 1977) and because continual learning is so necessary to human agency and development. Because of these factors, it would be an injustice to deny or constrain people from learning throughout the entirety of their lives (Kovbasyuk and Blessinger, 2013; Spring, 2000; Vandenberg, 1990). MOOCs, open educational resources, open universities, and the like therefore provide a low cost or zero cost means for anyone to access high quality educational materials. The costs associated with producing open educational services typically come from a variety of sources such institutional budgets, government support, and non-governmental support (e.g., foundations). In addition, studies have shown that costs for textbooks, for example, can be dramatically reduced using OER (Hilton, Robinson, Wiley, and Ackerman, 2014). Open education resources and platforms may be structured either as formal learning (i.e., part of a structured curriculum) or as non-formal learning (i.e., not structured as part of a curricula program leading to a certificate or degree but rather as one-off courses). In the years following WWII, the human and civil rights movement took on a new sense of urgency. This sense of urgency was a result, in large measure, of the crimes against humanity perpetrated by some people during WWII. When the full extent of these crimes was revealed it became clear that the civilized world community needed to intervene on a global scale. So, the United Nations, acting in their capacity as representatives of the world community, adopted The Universal Declaration of Human Rights — UDHR (United Nations, 1948) which articulated those basic human rights that applied to all nations and cultures.3 The UDHR states that everyone has a right to education at all levels. To conclude, this chapter has discussed how democratic societies have gradually moved away from elitist and exclusivist systems of higher education that were based on power and privilege claims in favor of open and inclusive systems of higher education based on justice and human rights claims. This phenomenon represents a major paradigm shift in higher education. Since democratic societies are fundamentally based on principles of rights and justice, it should not come as a surprise that this transformation is occurring, albeit incrementally. Thus, the emergence of open education is a reflection of the broader democratic society in which it functions. The UNESCO Universal Declaration on Democracy (1997) states that, “A sustained state of democracy thus requires a democratic climate and culture constantly nurtured and reinforced by education and other vehicles of culture and information”.4 Thus, lifelong education, not just basic education, is needed to nurture and strengthen democracy. It does this by creating flexible and open educational structures that allow all people to engage in lifelong and life-wide learning. Given the increasing impact of globalization and the increasing importance of continual lifelong education for all, it is clear that treating education as a human right is imperative. In a democratic society, the right of voting has been viewed as the “great equalizer” because it allows citizens to have a voice in how their society is governed. Open education can also be viewed as a potential “great equalizer” since it allows people to continually improve their knowledge and skills throughout the course of their lives. And just like voting, it helps to extend the democratic social contract to all and is reflective of how the democratic social contract continues to be restructured in meaningful ways. Thus, open education also has the potential to strengthen democracy and respect for human rights by creating a more educated and informed citizenry. Altbach, P. G., Gumport, P. J. and Berdahl, R. O. (2011), American Higher Education in the Twenty-first Century: Social, Political, and Economic Challenges, Baltimore: The Johns Hopkins University Press. Barnett, R. (2012), The Future University: Ideas and Possibilities. London: Routledge. Batson, T., Paharia, N. and Kumar, M. S. V. (2008), A Harvest Too Large? : A Framework for Educational Abundance, in T. Iiyoshi and M. S. V. Kumar (Eds. ), Opening up Education: The Collective Advancement of Education through Open Technology, Open Content, and Open Knowledge, pp. 89–103. Cambridge, MA: MIT Press. Blessinger, P. and Anchan, J. P. (Eds.) (2015), Democratizing Higher Education: International Comparative Perspectives, New York: Routledge. Blessinger, P. (2015c), The Future of Higher Education: Towards a Democratic Theory of Higher Education, in P. Blessinger and J. P. Anchan (Eds. ), Democratizing Higher Education: International Comparative Perspectives, New York: Routledge. Iiyoshi, T. and Kumar, M. S. V. (Eds.) (2008), Opening up Education: The Collective Advancement of Education through Open Technology, Open Content, and Open Knowledge, Cambridge, MA: MIT Press. Kahle, D. (2008), Designing Open Education Technology, in T. Iiyoshi and M. S. V. Kumar (Eds. ), Opening up Education, pp. 27–45. Cambridge, MA: MIT Press. Kezar, A. (2014). How Colleges Change: Understanding, Leading, and Enacting Change. New York: Routledge. Knapper, C. K. and Cropley, A. J. (2000), Lifelong Learning in Higher Education, Sterling: Stylus Publishing. Lynch, C. (2008), Digital Libraries, Learning Communities and Open Education, in T. Iiyoshi and M. S. V. Kumar (Eds. ), Opening up Education, pp. 105–118, Cambridge, MA: MIT Press. McGrath, O. (2008), Open Educational Technology: Tempered Aspirations, in T. Iiyoshi and M. S. V. Kumar (Eds. ), Opening up Education, pp. 13–26, Cambridge, MA: MIT Press. Trow, M. (1974), Problems in the Transition from Elite to Mass Higher Education, in OECD (Ed), Policies for Higher Education, pp. 51–101, Paris: OECD. United Nations (1948), The Universal Declaration of Human Rights, New York: United Nations.